For this Client we built a Home Owners Association CMS website. 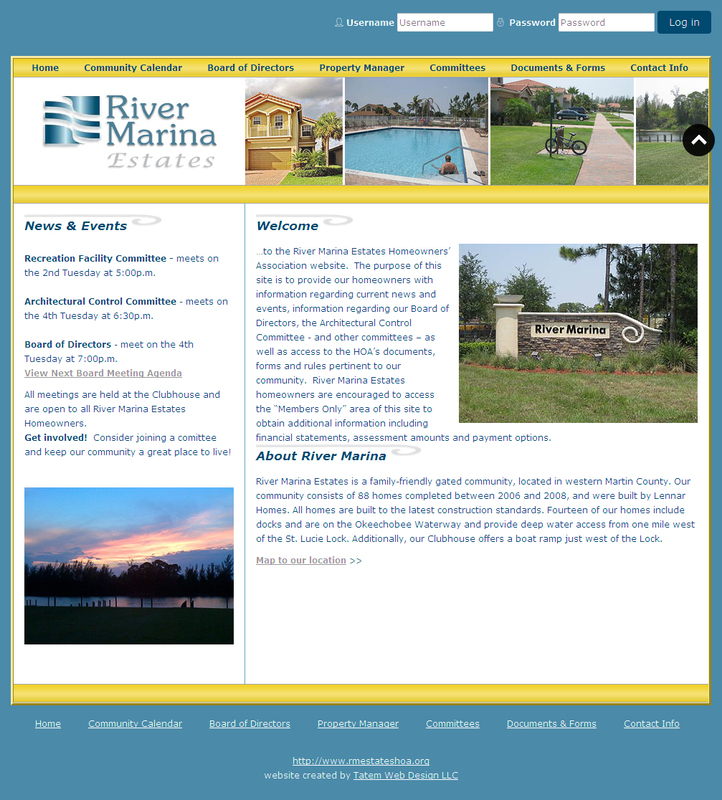 Tatem Web Design customized the Design Template to fit the Home Owners Association Website. We set up the HOA hosting and host the HOA website on our Virtual Private servers. We set up email for this client. We set up the registered members section for HOA users (Home owners) to connect to. We built a user friendly login section for them to be able to download files, HOA budgets, HOA Newsletters, and any files that the HOA Boards needs to provide to its members. We designed the layout and installed a document repository for storing HOA PDF files and Word Docson the members. Tatem Web Design - We did a full CMS web site using Joomla 3.4 for this client's website, email , full registered members section, interactive forms. Provided client we currently provide support, we manage the web hosting, email, website stats.